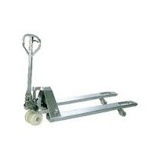 Material Handling Brands, If It Moves or Stores we Sell it ! With over 100 years of combined product knowledge, We are your single source for all of your Caster, Wheel and Material Handling needs ! Call your sales associate for details.